There’s nothing quite like some sweet revenge! We have seen how people have taken revenge time and time again. But what we are about to share with you today is on a whole new level. 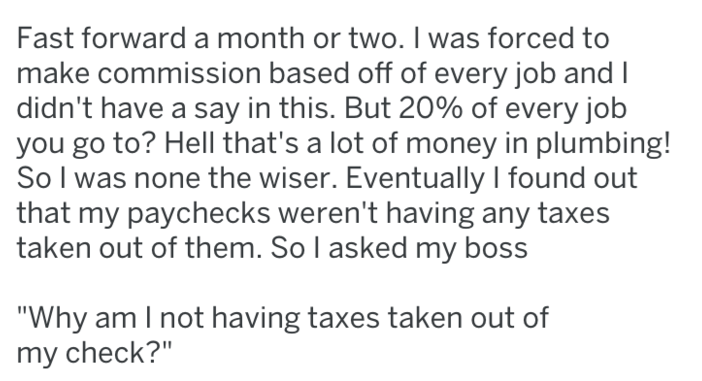 You see, a very hard-working employee got extremely fed up after his boss consistently made the working-environment hard for him and then on top of it refused to pay him his hard-earned money. It was only then that he decided it was time to “resort to other measures” to get his well-deserved money back. 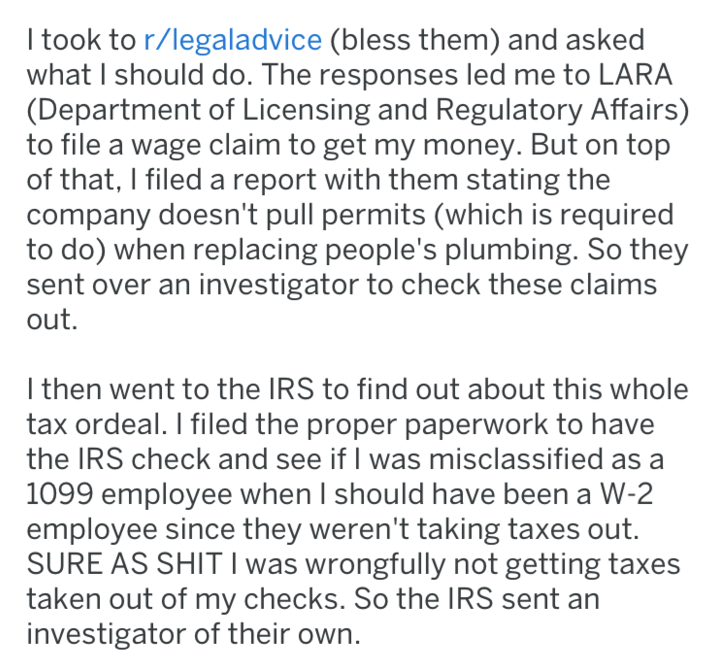 While working for this local plumbing company, he always noticed something weird about all the incentives that were given to the employees and how there was something wrong with the tax management. However, he ignored it and minded his own business. 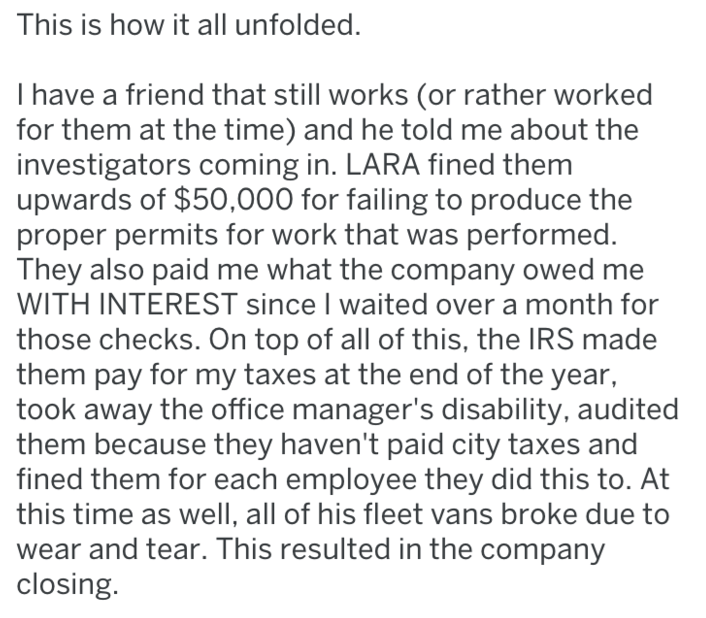 But after the entire ordeal with the boss, he lodged a complaint against the company and found out about a whole lot of things that didn’t make sense before. Scroll on below and take a look at how everything unfolded! 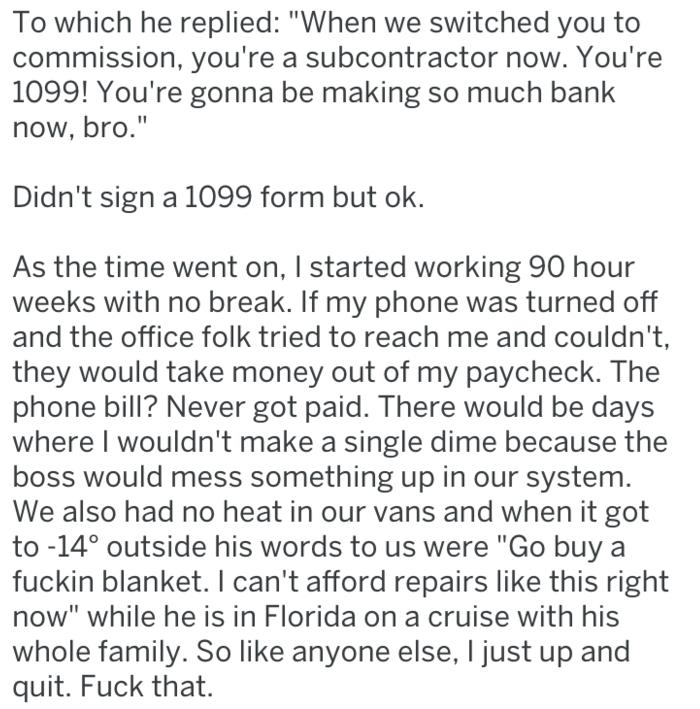 Here’s how the guy describes it all from the start. That’s quite an unusual development but oh well! 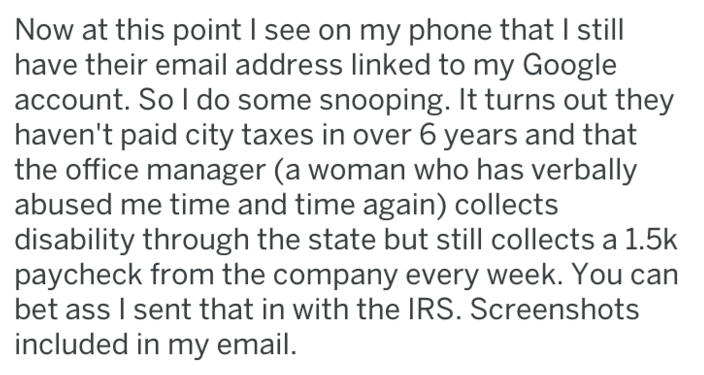 After getting such a pathetic response from the boss, he sought help from Reddit(Legal Advice). And soon the tables turned! 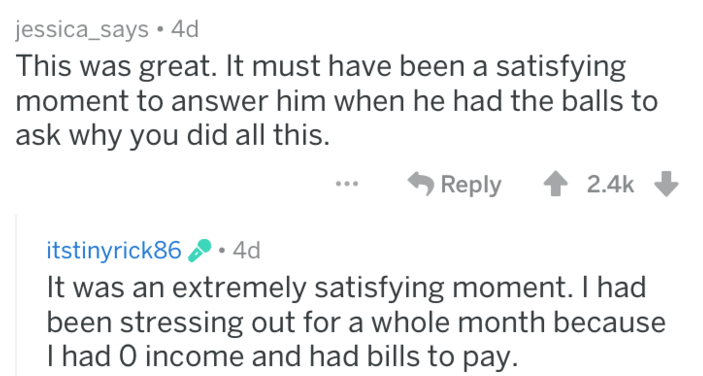 That was indeed very satisfying! 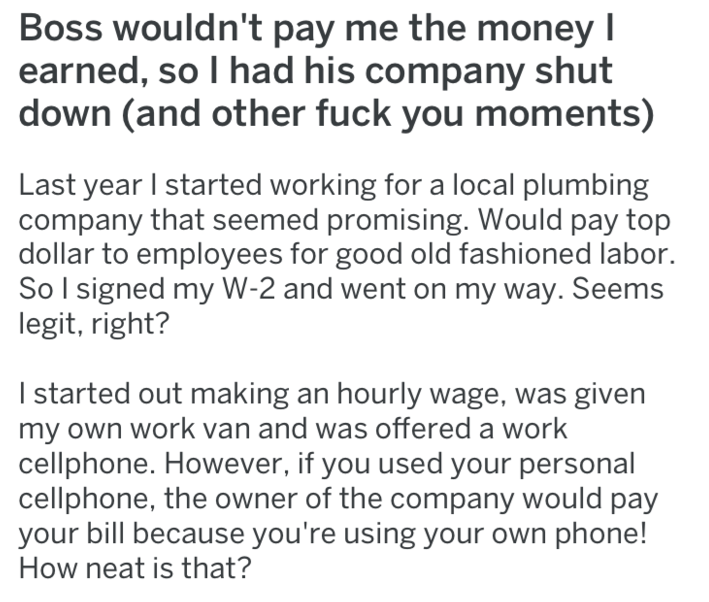 So, what do you guys think of this sweet revenge? Actually, its revenge and karma both beautifully summed up in the same example! Have you ever experienced something like this? Let us know in the comments below.